For a while all I had for this blog post was the title, but I really needed about 600 more words. 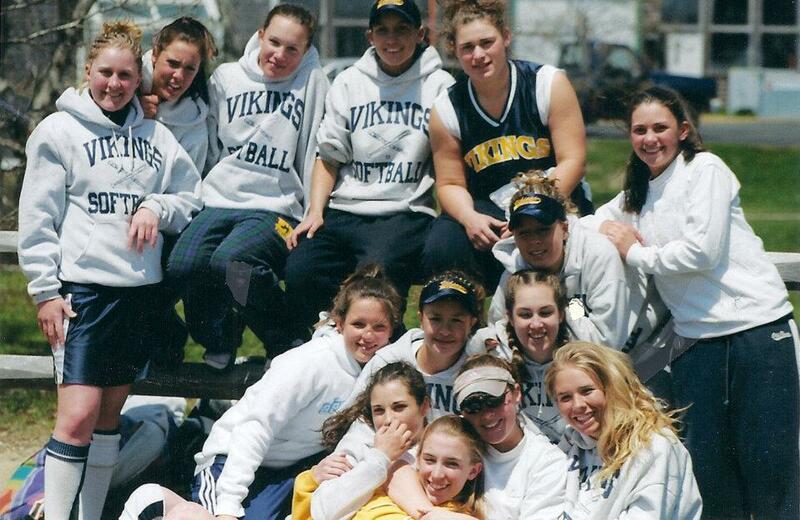 So getting the invite to my high school alumni softball game was serendipitous. You and John Cusack probably think that I’m playing it a little fast and loose with the word serendipitous here, but I don’t have these posts peer reviewed. And John didn’t return my calls so I can’t be sure. In high school I was a decent softball player according to statistics and facts and “an all-star robbed of the title” according to my dad. My positions were right field, because I wasn’t fast enough for left or center and first base, because I was/am a giant. My batting average was pretty respectable but my on-base percentage was killer. Why? Because I held a record. For getting hit by a pitch the most in team history. Maybe I crowded the plate? Maybe I just had a lot of body to hit? Maybe pitchers were threatened by my skillz. We might never know. But man did I get beaned A LOT. At our end of the season banquet in ’03 my coach gave me an ice pack as a going away present. Needless to say heading back to the diamond I had some concerns about my personal safety. Embarrassment was a given and I wasn’t (too) worried about that. But was this going to be a friendly game of slow pitch or were we really going back to the glory days when everyone else had lots of fun and I was covered in bruises? Were the rest of the old timers still playing in competitive leagues like the Facebook invite seemed to suggest? More than one alum had a conflict for this game because of a tournament… Meanwhile I was googling what hand I was supposed to put my glove on. With completely justifiable trepidation, I arrived at the field to find that we were playing against the current high school team and their pitcher was warming up. Apparently I wouldn’t be allowed to use the Little Tikes batting tee in my trunk. Unfortunate. In a very pleasant surprise, I remembered how to throw and catch. In a less pleasant surprise, there were no helmets or body armor. In zero surprise, batting practice didn’t go well. To their credit, I didn’t hear any of the high school girls snicker as I whiffed on the first three balls my old coach tossed to me from 2 feet away. Taking a safe position out in right field, I impressively committed zero errors on zero plays the first inning. Back in the dugout, I slunk to the back of our batting line up hoping maybe it would start lightening and we’d all have to go home. But then between innings my two year old came up to me to ask when I was getting up to bat… Someone clearly put him up to this but still, heart melted. I had to at least get up to the plate for my kids. I got into the on deck circle and swung the bat a few times pretending to remember what I was doing and pretending not to be terrified of concussion. When I got up to bat, facing the pitcher who did not care one iota that the rest of us were old, my thoughts were, in this order: 1) Please don’t strike out in front of your kids. 2) Please don’t embarrass your father. 3) Please don’t die. In a shocking “I promise to you on my life I’m not making this up” twist, the first pitch was right down the middle and I HIT IT! An actual hit with the bat, not my thigh/arm/nose. AND I managed to run my ancient rear end down to first base for it to count as a real hit according to Pop’s stats. The next day I asked my son what the best part of his weekend was. Jack said “watching Mommy play softball.” I’m 85% sure he was in the bathroom for my hit, but God love him, he pretended like he saw it. Plus I was reminded of an important lesson of career development. You need to try. I don’t know what your belief system is like, but for me I’m pretty sure we only get one chance at this whole life experiment. So if there is something we want to do, you have to step up to the plate and give it your best shot. I definitely could have struck out three times that afternoon. But I definitely WOULDN’T have hit the ball from the dugout. 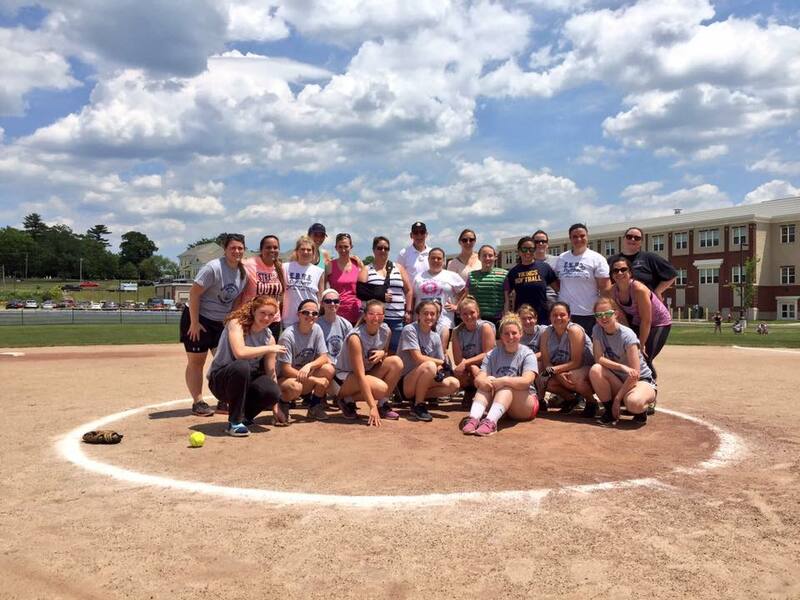 So fine, East Bridgewater High School softball program – I’m in. See you again next time. Subscribe or follow this blog on Facebook for more stories that will make you feel better about your own athletic ability. So much terrifying fun! And appreciate the love for the post title. I’ve been riding the high of that stroke of creative genius for about a month, which seems like the right amount of time. Glad you said Yes and gave it a try, the memories you made are so worth it. Such a heart-warming article! And I love that you got a hit! Thanks for sharing!